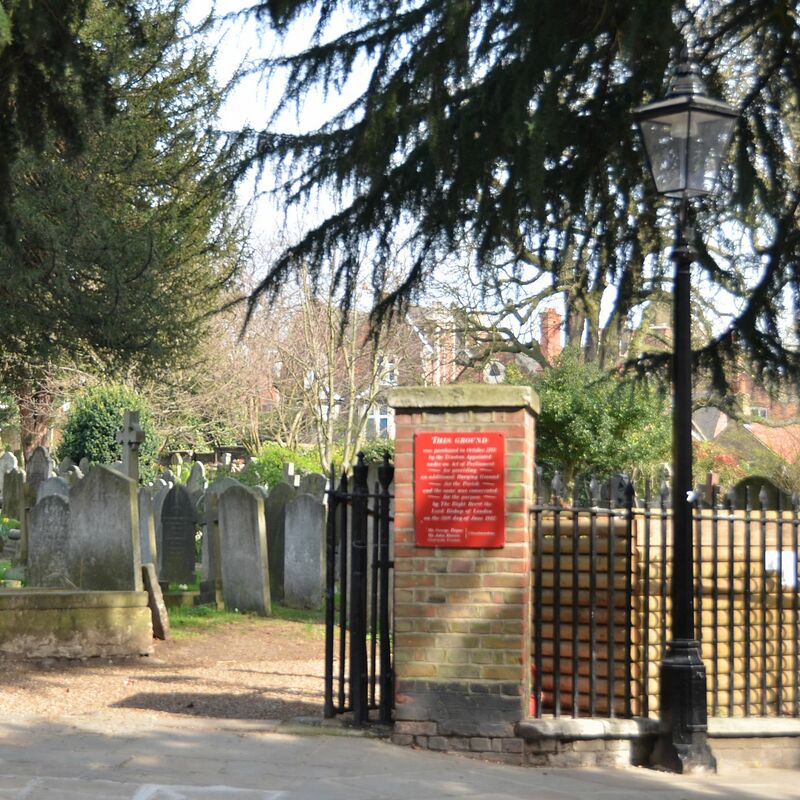 In the heart of Hampstead, North London is an historic and picturesque burial ground, attached to Hampstead Parish Church. Consecrated in 1812 you will find here the graves of the famous, the infamous, the ordinary and the not so ordinary. 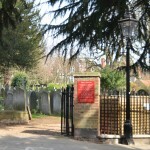 The present Hampstead Parish Church, built in 1745, was surrounded by an existing burial ground. By 1812 this burial ground was full and the Additional Burial Ground was consecrated in what was a field across the road. Graves include Eliza Acton (Delia Smith’s favourite cookery writer), Joseph Jordan (convicted of body snatching), Henry Kippin (the last of three generations of chimney sweeps), and Eva Gore-Booth (suffragette, pacifist and labour activist). There are also eight war graves – six of soldiers from the First World War and two from the Second World War. Explore the lives of the people buried in the Additional Burial Ground and the history of the community it represents. A graveyard is a microcosm of local history. The lives of local people can also be an inspiration for teachers and school children studying a range of subjects within the National Curriculum and various resources for teachers were created for a school project to coincide with the 200th anniversary of the consecration of the Additional Burial Ground. In 2014 we ran another schools project to coincide with the outbreak of World War One called Community@War. In June 2012 the graveyard’s 200th anniversary was celebrated with a Flower Festival and a primary Schools Project. Community@War is another primary school project exploring how the First World War impacted the local community. Visit this the Community@War site to find out more. Schools are welcome to use this material. The Image Gallery reflects activity in the graveyard and at the moment includes images from the 2012 Schools Project. This graveyard is also a haven for wildlife and contains an interesting range of flora and fauna. Enjoy exploring the richness and diversity of the ABG and come and visit us. This post was last updated on June 17th, 2016.